Nearly a year-and-a-half after arriving at the red planet, Europe’s ExoMars orbiter is finally approaching a planned perch around 250 miles over the rust-colored world after repeatedly dipping into the Martian atmosphere to lower its orbit. The end of a year-long “aerobraking” campaign moves the ExoMars Trace Gas Orbiter closer to starting regular science observations, a transition expected in April, when the mission will begin measuring how much methane is in the Martian atmosphere, an indicator of potential ongoing biological or geological activity. Built in Europe and launched by a Russian Proton rocket in March 2016, the Trace Gas Orbiter is the first mission in the two-part ExoMars program, a partnership between the European Space Agency and Roscosmos, Russia’s space agency. An ExoMars lander and rover are scheduled for launch to the red planet in 2020. The robotic spacecraft zoomed through the planet’s outer atmosphere nearly 1,000 times since it looped into orbit around Mars in October 2016, using gentle nudges of aerodynamic drag to gradually slow down. In response, the high point of ExoMars’ orbit was reduced from an altitude of 20,500 miles (33,000 kilometers) to 650 miles (1,050 kilometers). The Trace Gas Orbiter fired its main engine to slow down and enter orbit around Mars. The spacecraft used thrusters for two more major maneuvers in early 2017, first to change the inclination, or tilt, of its orbit from 7 degrees to 74 degrees with respect to the planet’s equator, then to lower its peak altitude from 61,000 miles (98,000 kilometers) down to 20,500 miles in preparation for the start of aerobraking. Further rocket firings moved the low point of the probe’s orbit into the high-altitude layers of the Martian atmosphere. “Since March 2017, we’ve been conducting a terrifically delicate ‘aerobraking’ campaign, during which we commanded it to dip into the wispy, uppermost tendrils of the atmosphere once per revolution, slowing the craft and lowering its orbit,” said Michel Denis, the European Space Agency’s flight director for the ExoMars mission. The drag exposed parts of the spacecraft, especially its solar panels, to elevated temperatures near 200 degrees Fahrenheit (100 degrees Celsius). Assembled and tested in France by Thales Alenia Space, the Trace Gas Orbiter flew as low as 64 miles (103 kilometers) on some orbits. Cumulatively, more than 950 passes through the atmosphere changed the orbiter’s velocity by more than 2,200 mph (3,600 kilometers per hour), according to ESA. ESA controllers paused the aerobraking campaign between late June and early September when Mars — and the Trace Gas Orbiter — flew behind the sun as viewed from Earth. The event, known as solar conjunction, occurs regularly as the planets march around the sun, disrupting reliable communications with spacecraft at the red planet. The aerobraking technique saves fuel, reducing the mass of a spacecraft at launch. In TGO’s case, the tradeoff saved around 1,300 pounds (600 kilograms) of fuel, according to ESA. That saved manufacturing and launch costs for the mission. Ground controllers at the European Space Operations Center in Darmstadt, Germany, sent commands for TGO to fire thrusters Feb. 20 to boost the craft’s orbit out of the Martian atmosphere to an altitude of approximately 120 miles (200 kilometers), ending the aerobraking phase of the mission. A series of orbit trim maneuvers are planned through mid-April to move TGO into a near-circular orbit ranging between 236 miles (380 kilometers) and 260 miles (420 kilometers). In that orbit, the spacecraft will complete one lap around Mars every two hours, down from the probe’s original 4.2-day orbit achieved in October 2016. Several NASA missions have used aerobraking to settle into their operational orbits at Mars, but the Trace Gas Orbiter is the first European mission to employ the aerobraking technique. 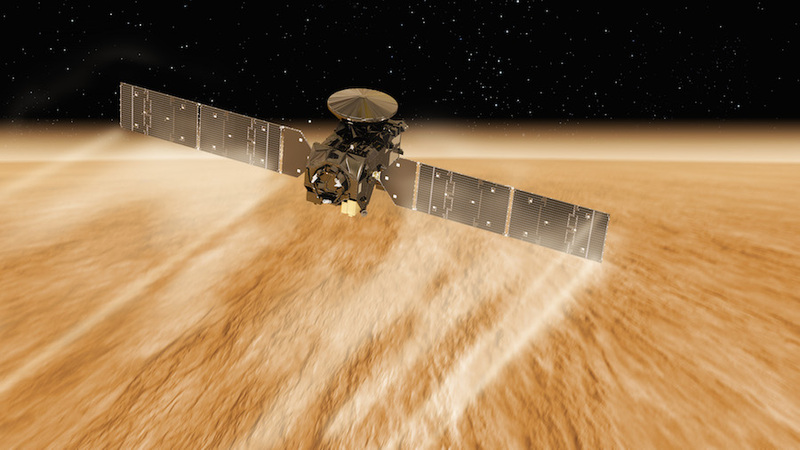 European engineers practiced aerobraking procedures with the Venus Express spacecraft at the end of its mission in 2014. ESA’s first mission to Mars, known as Mars Express, arrived at the planet in December 2003. 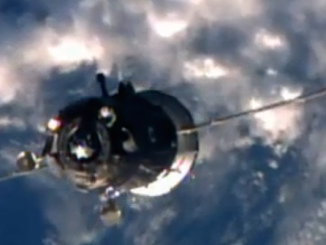 It continues operating in an elliptical, or egg-shaped, orbit around Mars. The TGO launched in tandem with an experimental landing craft named Schiaparelli, which crashed on Mars after a guidance failure soon after deployment of a supersonic parachute. In mid-March, TGO will switch on its instruments for calibration, before science observations formally begin around April 21, ESA said in a press release. 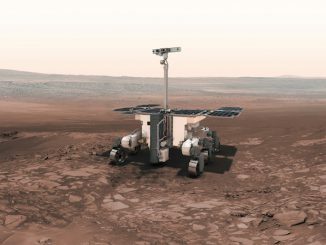 “Then, the craft will be reoriented to keep its camera pointing downwards and its spectrometers towards the sun, so as to observe the Mars atmosphere, and we can finally begin the long-awaited science phase of the mission,” said Håkan Svedhem, ESA’s ExoMars project scientist. The orbiter’s four science instruments, including a color stereo camera, atmospheric sensors and a neutron detector to seek signs of underground ice, completed a preliminary checkout soon after arriving at Mars in late 2016. The Trace Gas Orbiter will also act as a radio relay for rovers exploring the surface of Mars, and the circular orbit achieved with the help of aerobraking will put the spacecraft into an optimal perch for its secondary communications mission. Carrying a NASA-provided radio package, the orbiter will pass commands and science data between Earth and the ExoMars rover, due to arrive at Mars in February 2021 after its mid-2020 launch. NASA’s Curiosity and Mars 2020 rovers will also use the Trace Gas Orbiter as a radio relay. NASA’s Mars Reconnaissance Orbiter, Mars Odyssey and MAVEN missions — and ESA’s Mars Express — also serve as communications links with landers on the Martian surface. TGO’s main scientific mission will last at least one Martian year (1.9 Earth years), starting in April. But officials expect the orbiter will continue collecting science data and providing communications relay services through at least 2022.